Are You Ready to Get Positive? Tune Into Our Positive Daily Podcast. Each Episode is Designed to Help Our Listeners Grow Professionally and Personally. 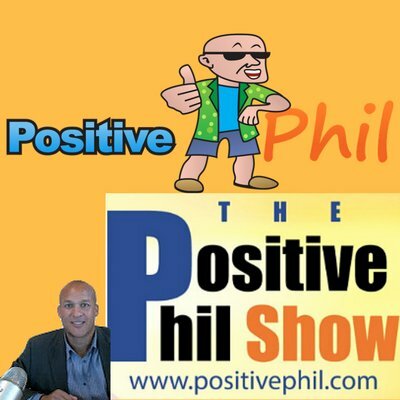 Hosted Daily by Positive Phil, Sharing Interviews with Ambitious Entrepreneurs and Positive Thought Leaders.. This Popular Business and Motivational Podcast Currently airs on iTunes, TuneIn, Stitcher, Spreaker, Soundcloud, on our Official Websites, RSS feeds globally, and many more digital platforms! We Interview Some of The Most Accomplished People on the Planet All Living Life With Ambition and Passion. Positive Phil uses Podcasting to Break Down Barriers to Build Instant Relationships with Decision Makers. Guests Range from Professional Athletes to CEO’s of Startups,Executive Board Members of Multi Billion Dollar Ventures,Major Brand Executives, Celebrities , Entrepreneurs and Small Business Owners.. This Podcast is Extremely Motivating and Entertaining!